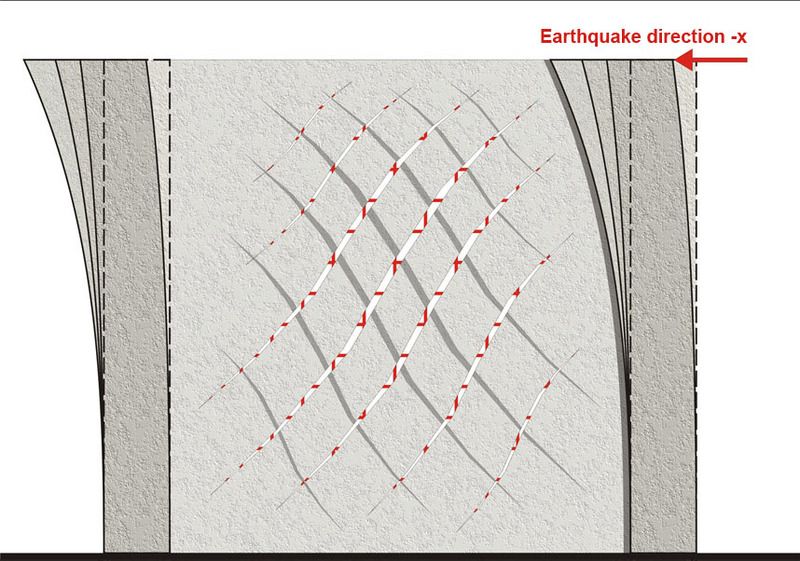 In the duration of a seismic event, flexural and mainly shear loads are applied to the wall. As a result, in the entire element’s surface, stresses appear along the diagonal axis. 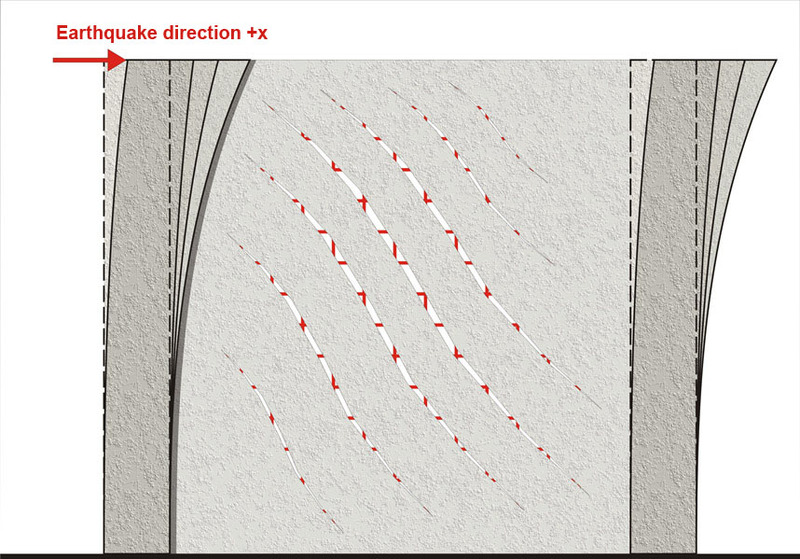 The diagonal shear stresses shift direction with the change in the earthquake shaking. These stresses are efficiently carried by the well-confined boundary columns, while in the main body of the shear wall they are carried by the double reinforcement mesh (horizontal and vertical rebars). The cracks that open due to the applied seismic forces in one direction, will close when the direction changes. This will continue to happen in the entire duration of the earthquake.